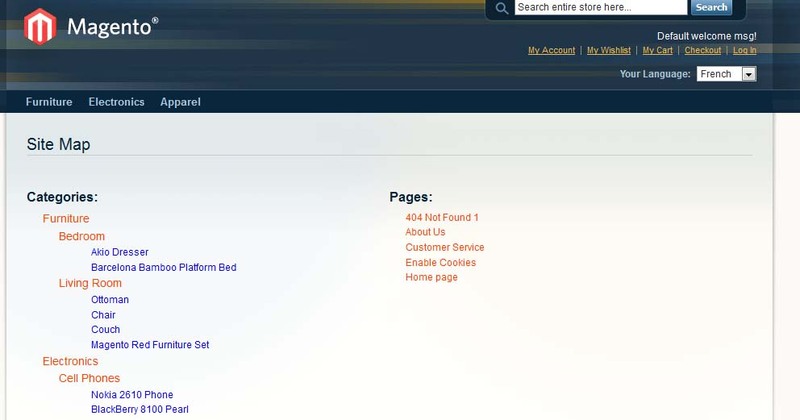 This document is a User Guide for Site Map extension for Magento. It describes how work with the extension. Site Map substitutes standard Magento’s site map. 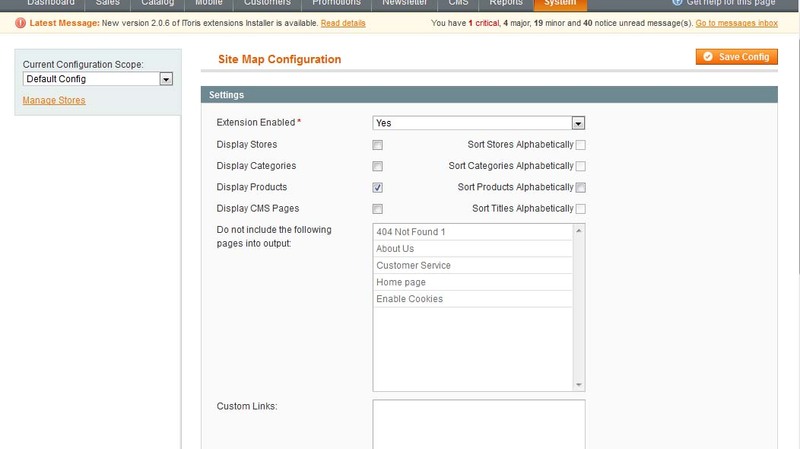 Settings allow to select how the map should look - include CMS pages, categories, products. Separate maps can be created for each store. The extension works under Magento 1.4.x, and Magento 1.5.x and higher. The extension works with Apache 1.3.x and higher, PHP 5, Linux or IIS. The correct work with other Magento versions, other browsers and Apache/PHP versions is not guaranteed. All our Magento extensions and templates are installed via IToris Installer. Download IToris Installer and un-pack to the root of your website. It will then appear in menu System –>IToris extensions –> IToris Installer. Open it and you will see all our Magento Extensions and Templates, both installed and available. You can install, update and un-install them with one click now. You can enable extension for all stores together - or for selected stores only. Choose the store(s), select Enabled =Yes and save the configuration. You can enable the extension for the selected stores only. To do it please select the stores on the left and enable the module. Check that it is disabled when you select the rest of the stores. The main settings of the extension are available on the same page below. These settings manage how the sitemap will be displayed. When enabled, the list of stores will be displayed in the map. The stores’ names will be links leading to the selected store’s map. When this setting is enabled the active products are included in the site map. If Categories are enabled as well - the products are subdivided into their categories. If not - they go together in one list uncategorized. This setting allows including active CMS pages to the site map. The pages will be displayed in a separate column on the right. Select the CMS pages that should not be displayed. If not selected, then the elements will go unsorted.